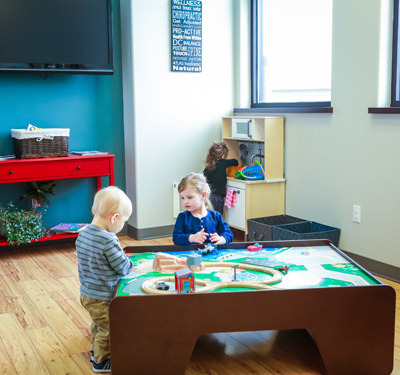 Justice Family Chiropractic is warm and welcoming, offering a professional and laid-back atmosphere. Our friendly team is always upbeat and positive, ready to welcome you and support you on your journey to health. The paperwork for your first visit can be found online and brought in filled out. Please plan on spending about 30-45 minutes with us for your first two appointments. If you haven’t completed your paperwork by downloading it from our website, you can do so when you arrive. Then you’ll meet your chiropractor to discuss your life goals and what’s brought you in. 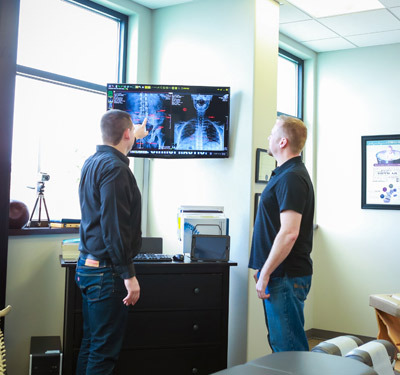 We’ll perform a full examination that includes scans with the Insight™ Subluxation Station and digital X-rays if needed. We’ll then schedule you back for your next appointment. You’ll receive a complete report of your chiropractor’s findings from your examination and scans. We’ll talk you through what’s happening in your body and our plan to help you feel better. We’ll go over financing and insurance coverage. If you choose to, we’ll start care with your first chiropractic adjustment. Regular visits take just 10-15 minutes. Progress examinations are done periodically where we’ll do scans to show how your nervous system has improved or what still needs work. It’s a common misconception that you have to be a chiropractic patient forever once you start. Most of our patients choose to continue with care because it allows them to maintain their health instead of seeing it worsen and having to fix problems. It is, however, always your decision. You’ll receive plenty of information from us about chiropractic care and your health on your first visit. This education will continue throughout all your visits with us. We believe it’s important to empower you with the knowledge you need to make better health decisions. Additionally, we hold regular workshops in our office that you’re welcome to attend. 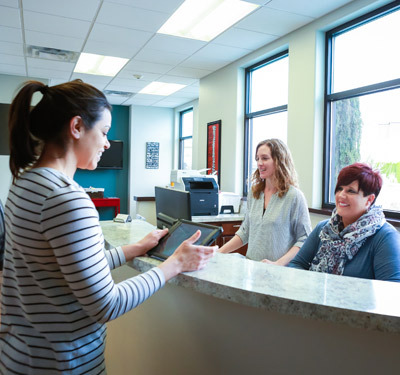 We offer extended hours and have digital X-ray facilities on-site for your convenience. Schedule your appointment today!